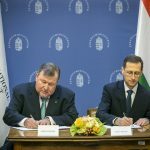 Moving the IIB headquarters to Hungary will further strengthen the role of the country and Budapest as an international financial centre, Varga said after the signing. 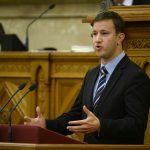 From Budapest, IIB can network better with European financial institutions and other international development banks, allowing it to take on a significant role in supporting investments in central Europe, in corporate lending and in international financial affairs, he added. The IIB’s board of governors took a unanimous decision in December to relocate the Russia-influenced lender’s headquarters to Budapest. IIB is headquartered in Moscow at present.